Find our cheapest flights to Hokitika from Christchurch. 150 years after the gold rush era, people are drawn to Hokitika for rather different reasons. Snow-capped peaks, rushing rivers and pristine forests hint at the riches you'll find here. Lonely Planet named the West Coast one of its top 10 destinations worldwide in 2014, and the great outdoors is the reason why. 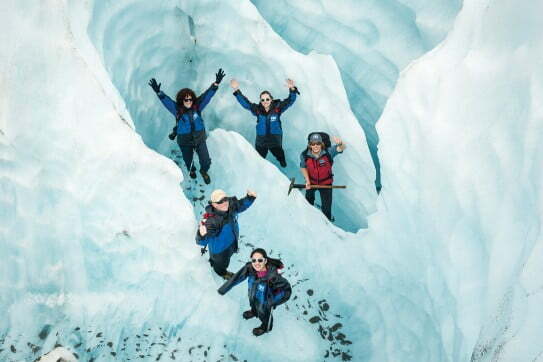 If you love riding mountain bikes, walking through national parks or flying over glaciers, Hokitika makes an outstanding base. Try whitewater rafting or kayaking on the West Coast's spectacular rivers. Catch a chopper ride into Toaroha Valley for a soak in the natural springs and an overnight stay in a Department of Conservation (DOC) hut, followed by a hike out the next day. 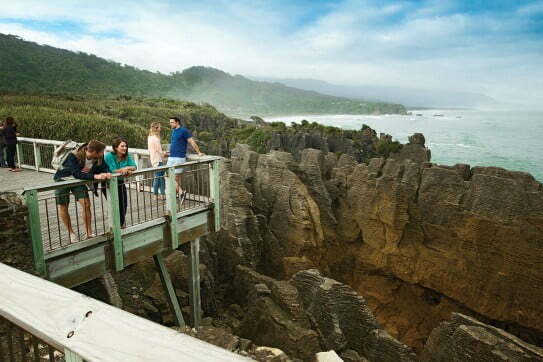 Or simply hire a car and explore the region from Punakaiki's pancake rocks in the north to the Fox and Franz-Josef Glaciers in the south. Are you an adventurous diner? Don't miss Hokitika's world-famous Wildfoods Festival in late summer. Try huhu grubs and lambs' tails if you dare. The West Coast region has more than its fair share of cultural and historical highlights too. Maori were attracted to the coast centuries ago by the presence of their greatest treasure - pounamu. Otherwise known as greenstone or nephrite jade, pounamu occurs naturally in the river-crossed landscape of the West Coast. There are free educational tours in Hokitika town and an excellent display in the local museum. You might even find small pieces of pounamu on Hokitika beach, washed down after a storm. The success of Eleanor Catton's prize-winning novel 'The Luminaries', set during the 1860s, is a reminder of another precious mineral. On bush walks in the Blue Spur and aptly named Goldsborough areas you can still see relics from gold rush days, including water races and tunnels. The miners' legacy lives on in Hokitika's flourishing arts and jewellery scene - look out for artisan pieces in the town's galleries. Are you an adventurous diner? Don't miss Hokitika's world-famous Wildfoods Festival in late summer. Try huhu grubs and lambs' tails if you dare, or whitebait and venison if your tastes are less extreme. Hokitika is warm in summer, with similar sunshine hours to Auckland. However with 2,800mm of rainfall per year, it's always wise to bring a rain jacket. There's not a lot of 'in between' weather here - it's either raining or sunny. Winter temperatures are surprisingly mild.